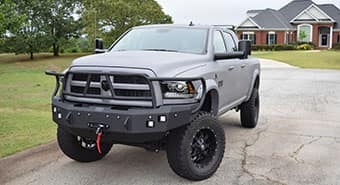 Gregg Young CDJR is Your Premier Rocky Ridge Lifted Vehicle Provider! You’re the kind of person who doesn’t just do the outdoors, you want to do it better than everyone else. The Adrenaline custom lifted Jeep from Rocky Ridge gives you the speed and the power to get to the top quicker than the rest. 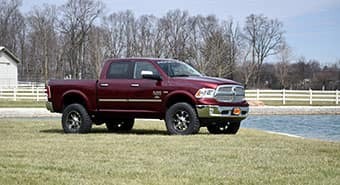 Our experts install a supercharger on your favorite off-road machine to transform it into a dirt-eating monster that can’t be stopped. 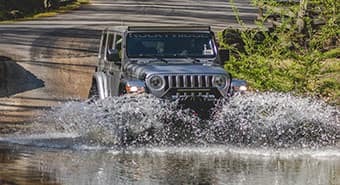 The result is a Wrangler that’s ready to charge ahead, no matter what surface you’re on. 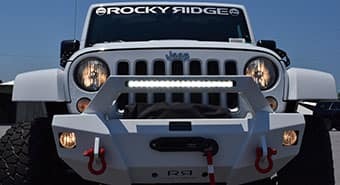 When you want to take your next trip to the mountains in style, you won’t do better than the Summit package from Rocky Ridge. This custom lifted Jeep Wrangler is ready for anything. From the neighborhood to the mountaintop, the Wrangler Summit will let you rise above the rest. Plus, thanks to our exclusive Pure Drive technology, this thing rides and handles great on any road or trail. Learn more about what makes this lifted Jeep the apex of off-road performance. 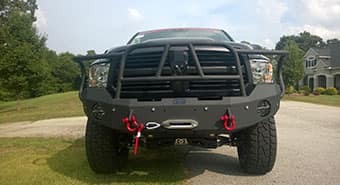 Rocky Ridge has designed the X-package for on and off-road avengers. Our team of custom Wrangler experts gave the Jeep Wrangler JL a 2-inch lift for that extra power you need to climb any rock. 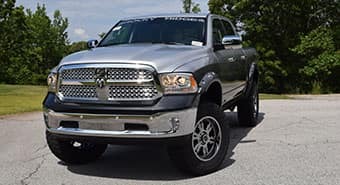 Rocky Ridge lift kits are rated as one of that best on the road. 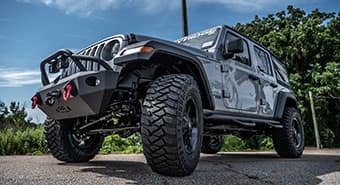 The X-Package comes with front and rear coil springs spacers that will get your Jeep through all of your adventures while you discover the world. 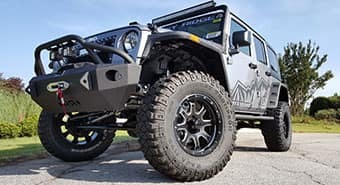 The custom Jeep also comes with five 35-inch Mickey Thompson MTZ P3 Tires and five 18-inch black off-road wheels. 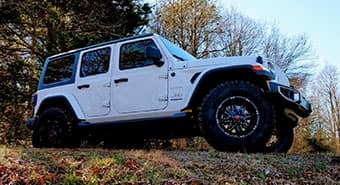 These wheels and tires will make your Jeep drive smooth while you’re riding high. The X-Package features a heavy duty spare tire mount and rear camera relocation bracket for those extra accessories you need for your next generation Jeep.